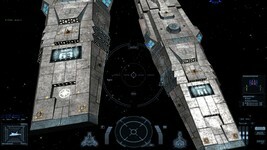 There's a big update for the Last Line of Defense mod, and it shows the latest enhancements to the Confederation fleet. 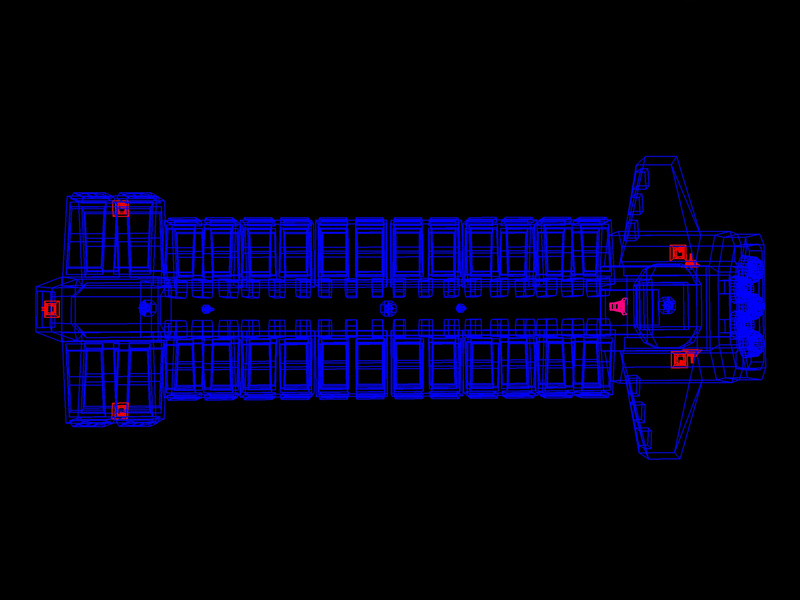 The first few shots reveal some of the heavy hitters, and then many more capships converage on a large Enigma Sector base. It's been a while since there's been public activity on this project, so progress is good to see. Scooby helped out with some of these models, and Deathsnake is currently writing dialogue lines for the campaign's plot. 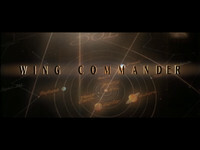 Are you looking for a Wing Commander themed backdrop for your computer screen, tablet or mobile phone? Our Wallpaper sectop, has official wallpapers, original art from noted Wing Commander artists like Sean Murphy as well as various fan creations like 3D renders or even hand-drawings! The section tries to collect wallpapers from more than a decade of CIC news reports, so some of the older work is in the classic 4:3 format instead of the more current 16:9 or 16:10 ratios. If you have anything you'd like to share with the community, you can send your work to news@wcnews.com or post it on the forums. 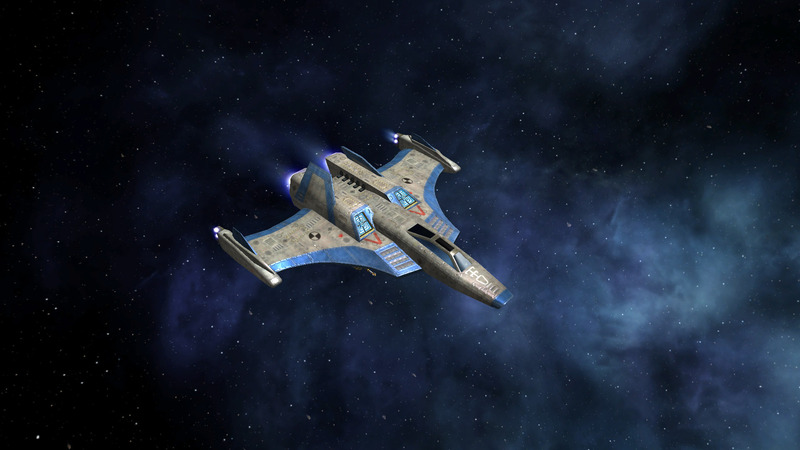 Roberts Space Industries has posted another Fan Spotlight, and this time the Wing Commander Standoff mod of Secret Ops gets the nod. The Time Capsule fiction feature is 2610: Tears of Fire, which discusses a painting that was inspired by an early 27th Century war. 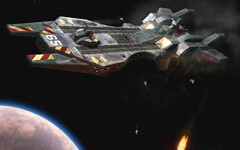 Finally, RSI has posted another concept art piece from the Wing Commander Movie. 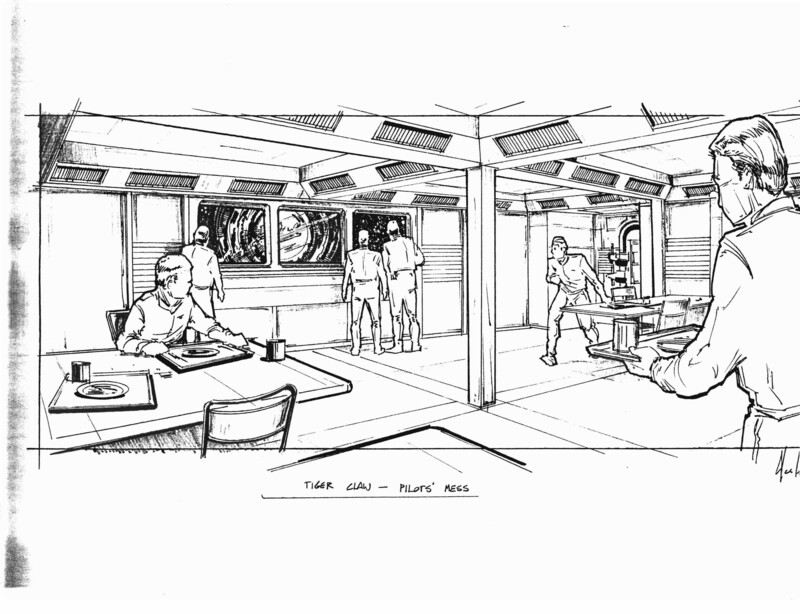 The Mess Hall sketch shows the Tiger's Claw's break room with the viewport looking out at the Charybdis Quasar. 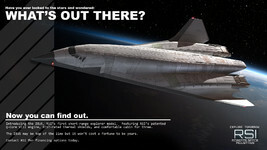 There's a new new Intelligence Report from Roberts Space Industries, and this one speaks for itself! 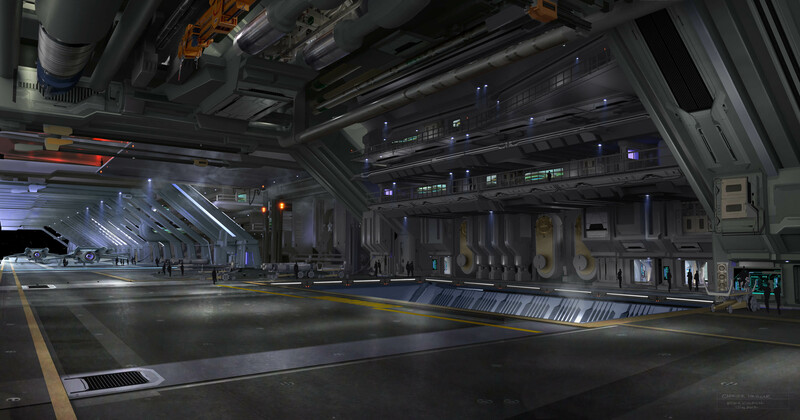 This space carrier hangar is absolutely gorgeous and comes in at a high enough resolution to confirm that the artist was Ryan Church (of Star Wars Episodes 2 and 3 fame). Look at all the detail! You may not have noticed yet, but we've recently rolled out a cool new feature -- inline news comments! Provided that you are currently signed into the CIC Forums, you can now comment on news articles without ever leaving the homepage. The current CIC design would turn 12 this January, so this is a pretty big step towards dragging the site back into modernity. So try it out by clicking show comments and leaving a note. If it doesn't work for you, please let us know through the feedback forum! 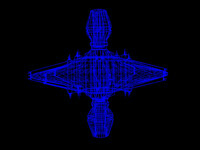 Happy Birthday Wing Commander! The original game shipped to stores on September 26, 1990, which makes the series 22 years old today. This particular milestone isn't a round number, nor do we have a big celebration prepared, but it does come in the midst of exciting times! Over the past year, new fans have continued to rapidly join the fray thanks to the rereleases on GOG.com, and there's more on the way. 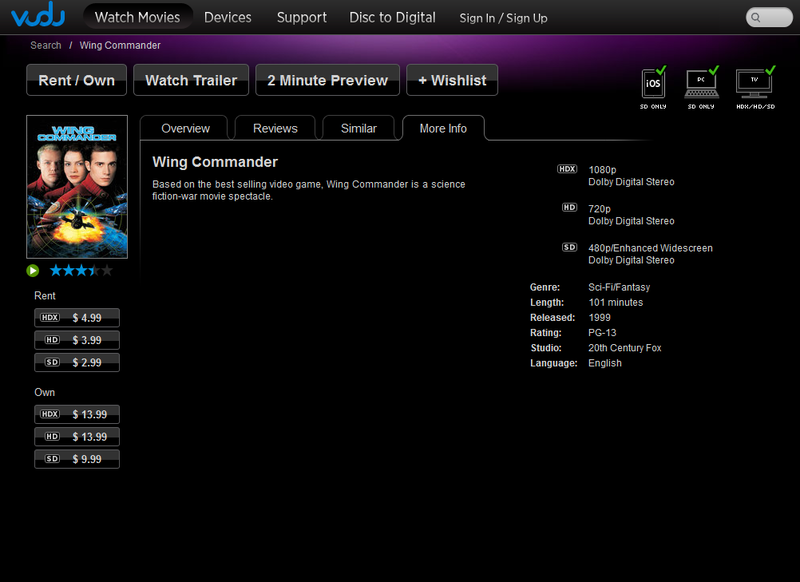 The Wing Commander Movie has also been rereleased, both on DVD and in digital HD download. Against all odds, even the Wing Commander Academy show was released on DVD for the first time this year! 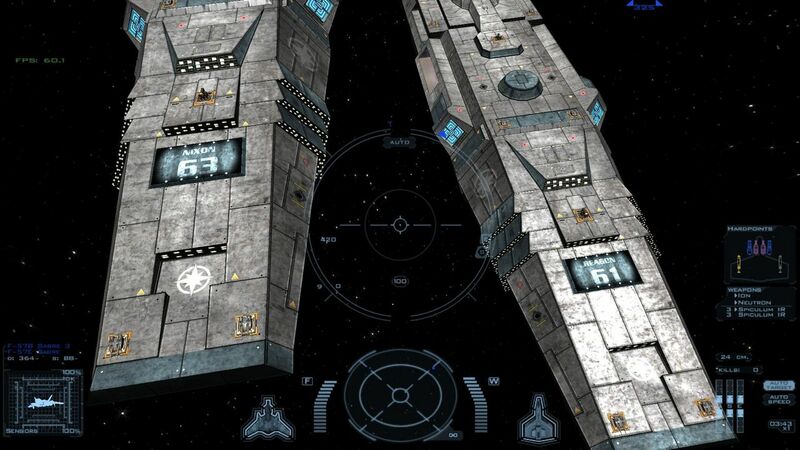 And as you're familiar with by now, Chris Roberts is back to making space sims. 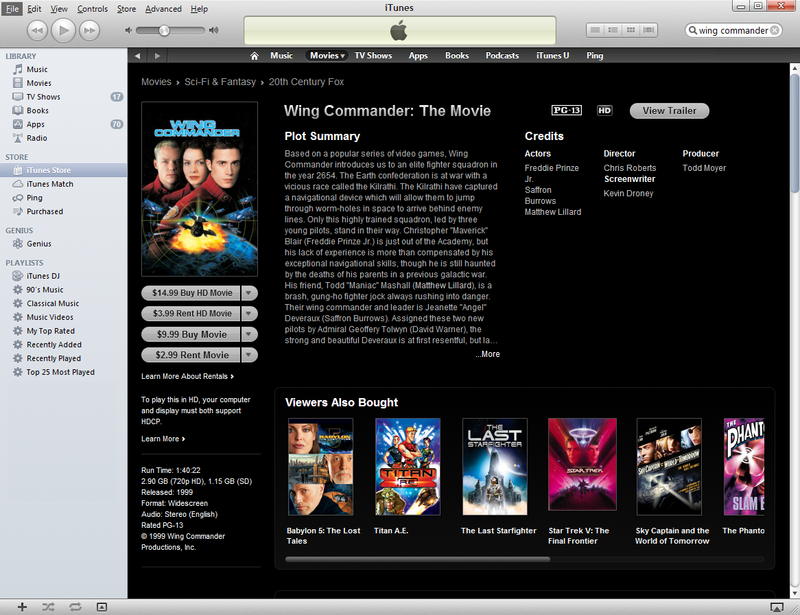 It's a very exciting time to be a Wing Commander fan! 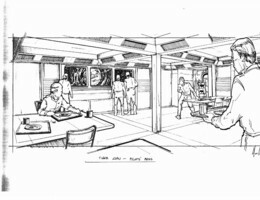 The Museum of Roberts Space Industries has also posted an article on the birthday, and they've included the original game's proposal document too. It's a great read. Check out the full file here (5.5 meg PDF). The latest commlink article introduces the newest poll over at the Roberts Space Industries website. The question asks us to reflect on what exactly is it that defines a Chris Roberts game. The visceral quality. That sense that you were really there fighting aliens instead of playing a game. The technology. Chris’ games were always on the cutting edge. The scope. The idea that it's bigger than what I've seen before, no matter what it is. All of the above; a Chris Roberts game needs to do everything. It doesn’t matter; I trust Chris Roberts to come up with something I want to see! The latest Time Capsule has humanity recruiting in the face of war. Things are really starting to heat up! Read it here: 2541: Awfully Crowded in My Sky. HD WC Movie Available for Digital Purchase! 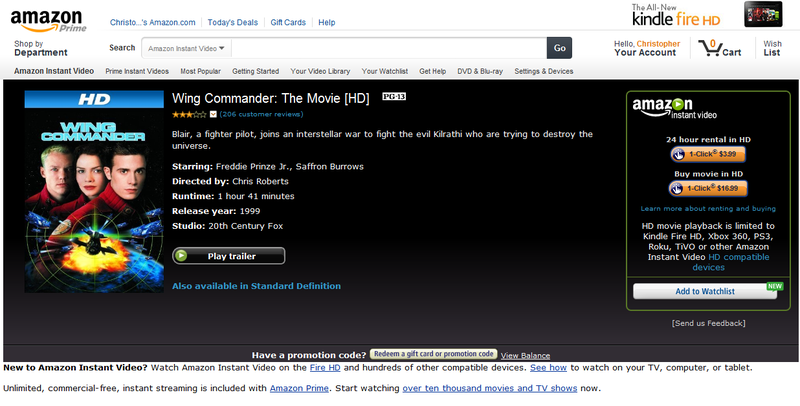 After more than thirteen years waiting, there's finally a convenient way to buy the Wing Commander Movie in high definition! There's been an HD broadcast that's occasionally aired for some time, and in just the last couple years, the movie became available to digitally rent in HD. Several companies have now simultaneously launched a digital HD version that can be purchased. 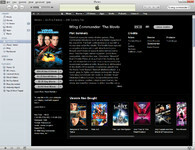 iTunes and Amazon.com lead the pack with a 720p version is available for $14.99 and $16.99 respectively. Amazon has encode the film at a slightly higher 5000 kbps bitrate (4 GB total), while the Apple edition clocks in at 4043 kbps (2.9 GB). Vudu also offers a 1080p version for $13.99, although it appears that this edition can only be streamed, so the compression may be somewhat more of a factor. 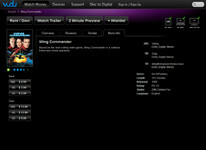 Via each service's respective partnerships, owners of the movie can then view on their computers, televisions and mobile devices via the associated app for the XBox 360, Playstation 3, tablets and so on. 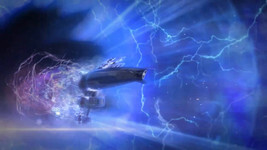 Note that an HDCP-compliant (such as HDMI) connection is required for viewing the HD edition on a computer/certain devices, and the specific hardware that each service supports varies, so be sure to double-check what you're getting. The new iPhone 5's 1136x640 resolution screen is an almost-perfect fit for the 1280x546 video from iTunes! 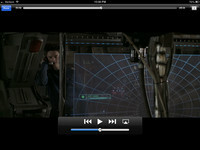 Here's a handful of screenshots of the movie upscaled to the iPad 3's native 2048x1536 resolution. We're still anxiously awaiting a Blu-ray release, but until then, it's wonderful to have an HD Wing Commander in both my pocket and on my big screen! 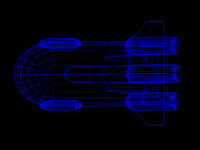 George Oldziey has joined Chris Roberts and David Swofford as another Wing Commander veteran working on the Roberts Space Industries project. George confirmed on twitter yesterday that he is working on the new game. Today's RSI Time Capsule relates some interesting political manuevering that has opinions divided and emotions high: 2523: The Three Pillars. Also check out the RSI Museum for info on one of Chris Roberts' earliest games - King Kong. And lastly, everyone has been waiting anxiously to see if their question was among the five that Chris Roberts has replied to! Check out Chris Roberts answers here! 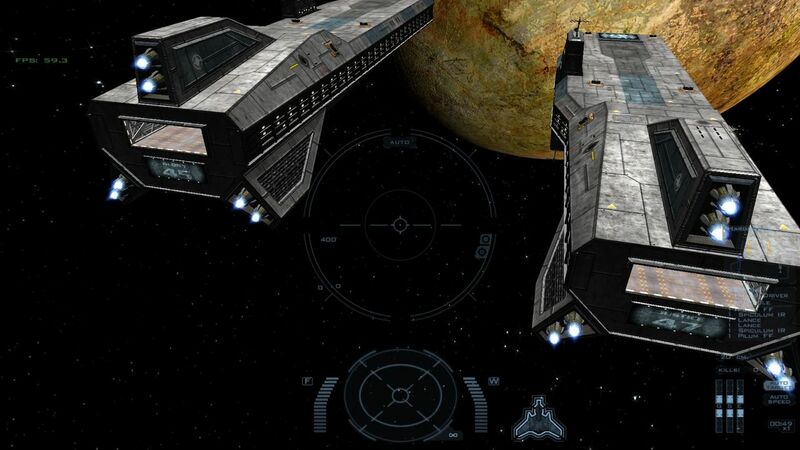 Do you think it’s possible to bring space sims back into the mainstream? If so, how? YES! 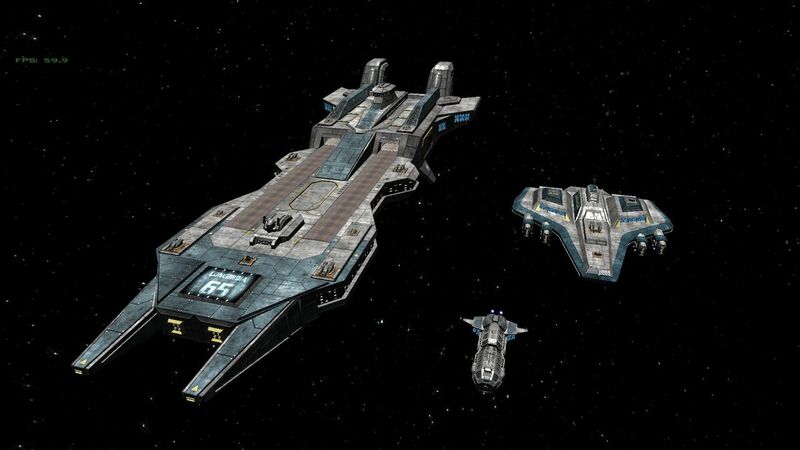 I feel like the appeal of Space Sims has never really gone away, it’s just that people stopped innovating and pushing the boundaries of what you could do. For me, games are all about immersion into a world. 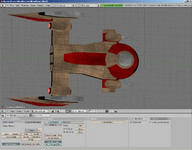 I think that’s what the Wing Commander series was best at and that was what I was aiming for when designing Freelancer. Is that Chris Roberts on the right of the panel? Happy 15th Birthday Ultima Online! 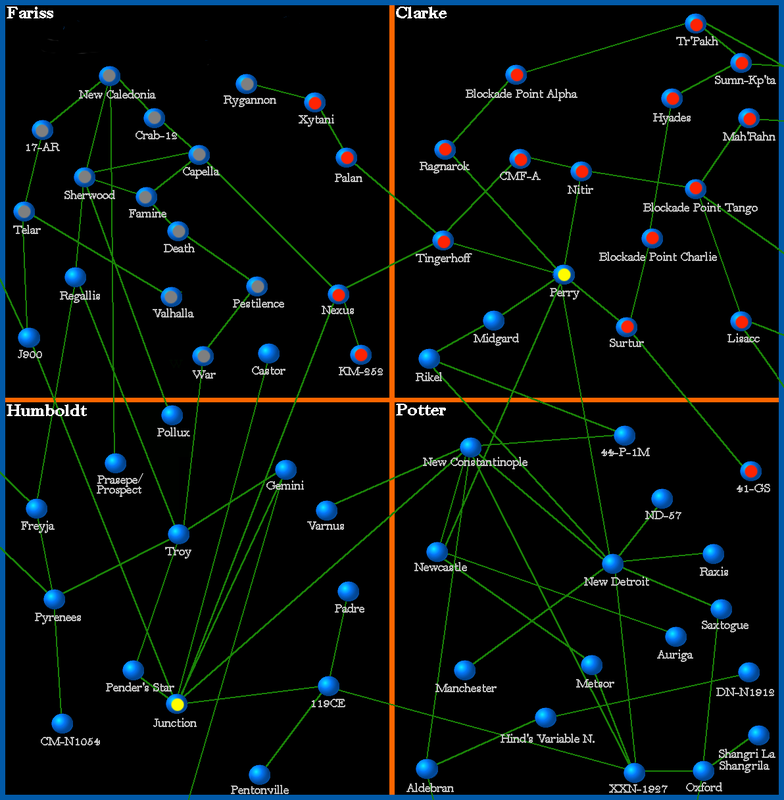 The world's first modern massively multiplayer game was released on September 24, 1997 by Origin Systems. Its continued existence is no small feat - many, many younger and bigger-budget MMOs have gone by the wayside just a few short years after release, so for the original to still be standing is truly incredible. As a sister franchise to Wing Commander in the 1990s, many Wingnuts beta tested UO during its early days, and the first iteration of the CIC even briefly shared a web server with the game. It's been about two years since the last expansion, High Seas, was released, but the game has been actively exploring a new plot arc this year that's has culminated in today's in-game events. The fans that remain in the game today are a diehard bunch of adventurers, and we're sure they're all looking forward to another 15 years! Congrats UO! Sometimes we were productive and other times we were not. But none of that mattered. We still managed to have fun just getting together and talking about XBLA. For this memory alone, I salute you Wing Commander Arena as one of finer games in early XBLA history. You might not have provided a great experience from a gameplay perspective, but you did foster a community that needed a place to meet each night. You helped introduce me to gamers that have made up the majority of my friends list for the past five years. People who I had only known before by their gamertag listed in the forums for various gaming sites. People who I now consider close friends. You were party chat in its beta stage and for that I salute you. 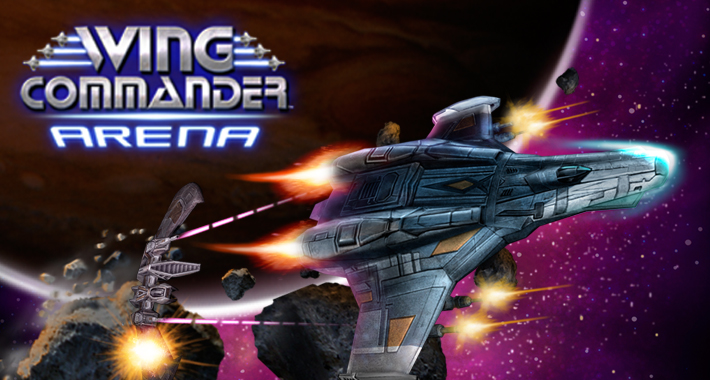 Well done Wing Commander Arena, well done. Hear, hear! We definitely agree. 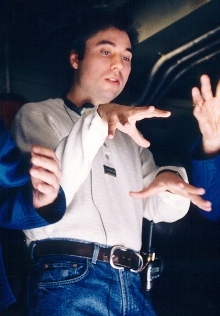 In a letter included in the game’s manual, Chris Roberts famously called Strike Commander the “Apocalypse Now” of computer games. At the time, Strike Commander was far over budget and a year overdue. Getting the game out had been a Herculean task, taking far more blood, sweat and treasure than anyone had ever imagined. But what a game the finished product was! Strike Commander took the original Wing Commander’s promise that you were living a movie and turned it up to eleven. 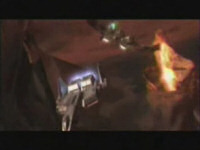 The game used every trick in the book to allow the limited personal computers at the time to play a Hollywood-style blockbuster with you as the lead character. Patterned after the great military action movies of the 1980s, Strike Commander tells the story of mercenary jet fighter pilots living in the then-future year 2011. 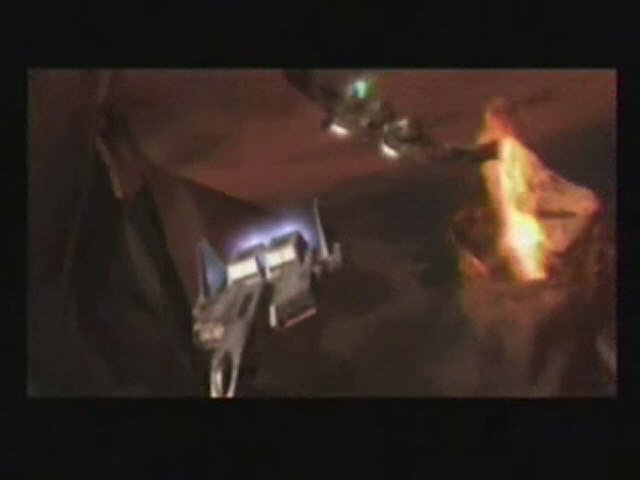 Players battled in the skies flying F-16s against other familiar modern aircraft. And the story was full of Hollywood hallmarks: a father figure to avenge, a beautiful seductress with a hidden agenda… and rendered cutscenes that strove for the proper atmosphere as much as they did high tech polish. 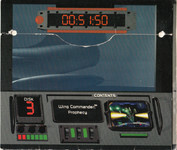 One of Strike Commander’s innovations was the inclusion of a ‘virtual cockpit’ where the player’s head and the environment could be controlled separately. You could adjust your view in any direction rather than just left, right, forward and backwards. 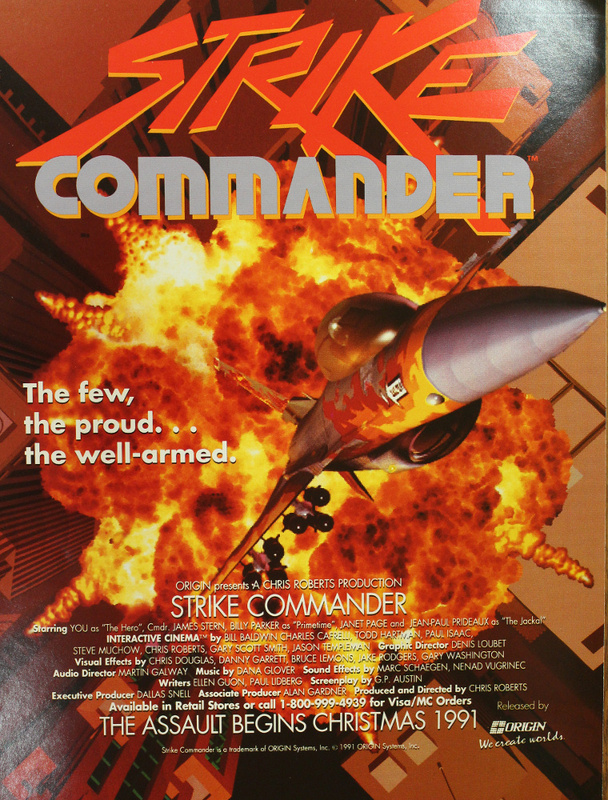 The only problem was that while Strike Commander featured an unprecedented amount of detail in its graphics it was also a faithful F-16 simulator… which meant that most battles were fought with long range missiles and so the lush graphics representing the enemy planes often went overlooked! Roberts Space Industries has posted a new fiction teaser, 2380: Together We Rise, about the unification of Earth in the 24th Century. There's also a beautiful closeup of the carrier's bridge and command center. It's a pretty nice design! Does All That Armor Slow Them Down? ScoobyDoo's got two new models. The first one merges the Excalibur and Dragon fighters, which introduces a new variable into the long-running Dragon vs Excalibur debate. I would imagine the result is like neither the F-103 nor the F-107, however. 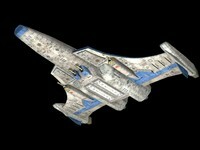 The other images all depict a sleek late-model variant of the Rapier II. It's described as post-Arena, and the beefy armor fits that era well. R For Ralari, S For,.. 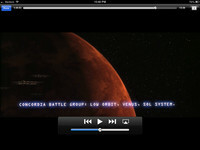 The Commlink feature has begun spotlighting high profile space combat fans. EddieB, the creator of Flight Commander, gets to tell the world about himself in this new article. Newest timecapsule fiction piece is a review of the Biographic movie of the life of one of the first Jump-point navigators! Some of the concept art on the RSI site shows that the system gets named after him: 2271: One Small Jump for Man. An RSI Museum update also features never before seen concept art of the Wing Commander Movie's Ralari! centaurianmudpig has created a review of the original Wing Commander and posted it on YouTube. He made the video with a few guidelines in mind, which resulted in a concise package that skips extraneous side-commentary and focuses on facts. Hopefully there are more in the future, but CMP would appreciate your feedback first! Hey, so after doing a play thru on WC1, and losing some videos at an attempt of recording each system mission, I figured I would do something potentially more useful. A video review of Wing Commander! Yeah, yeah, it's been reviewed many times, but it was something I wanted to do for a while. 1) Keep it simple stupid (read, short). 2) Keep it simple stupid (read, no thrills). 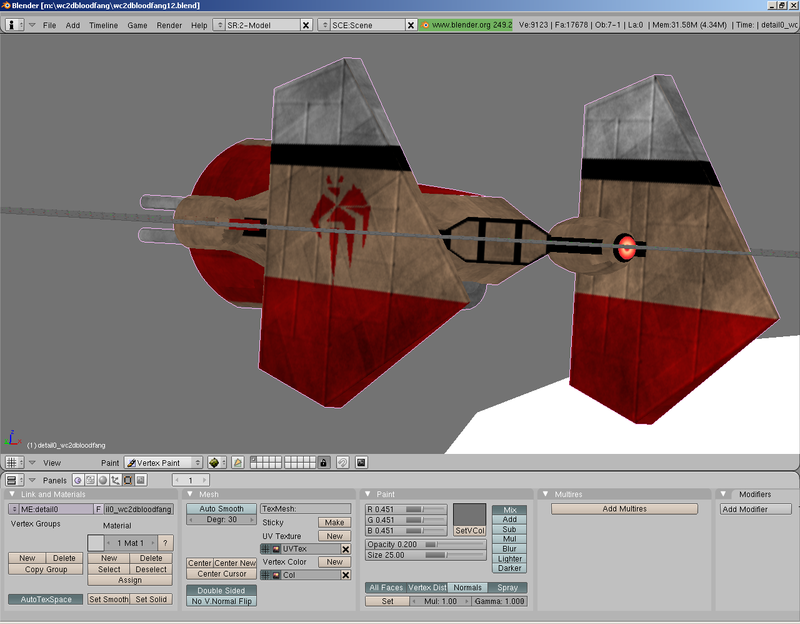 Klavs has built a great new scene with his Scimitar model. 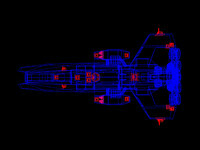 This pair of medium fighters is sandwiched between a small moon/planet and a red aura. Wonderful textures and lighting grace these CF-105s and make the scene look almost like a sharp painting. They're also a tribute to Sylvester and the VT-10 Wildcats - check out the squadron logo! Here's the VT-10 Scimitars on a training flight. The Roberts Space Industries website continues to get daily updates. Today's fiction teaser deviates from the so-far-normal by including a short audio recording. 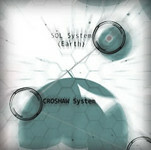 Listen as the cargo ship Goodman runs into a bit of trouble: 2262: The Neso Triangle. Today's update also features a new commlink entry to go along with the current poll about your controler preference. This may be the question that separates the Wing Commanders from the Freelancers! In the early 1990s, it was common–thanks largely to Wing Commander’s massive success–for a new PC to include not only a keyboard and mouse but a simple flight stick. Ten years later, with the genre less popular and PC manufacturers eager to cut costs, the idea was so unthinkable that Freelancer needed to be designed in such a way that it would only support gameplay using a mouse. There are two new commlink articles featured at the RSI website. 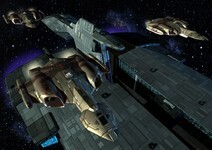 The first one is a call to submit questions to Wing Commander creator Chris Roberts. Only the best five will be picked to be answered in an upcoming feature, so get your thinking caps on! The second one is a brief message from Chris himself in which he mentions that nearly 23,000 people have signed up for the RSI website. Today's fiction teaser focuses on mankind's attempt to extend their reach beyond our solar system: 2232: The First Push. 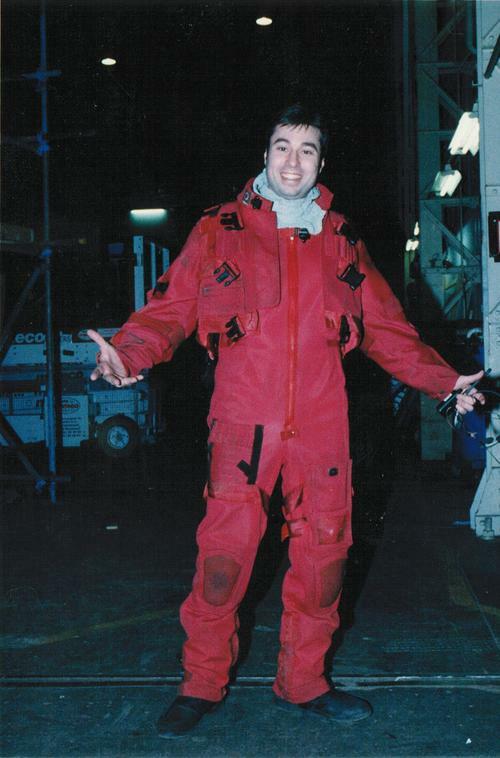 The RSI museum section today has a spotlight on Paul Steed who you will remember passed away a month ago, and who had a lasting impact on the Wing Commander series: Remembering Paul Steed. The internet is abuzz with rumors and speculation surrounding Roberts Space Industries. Now's your chance to weigh in! 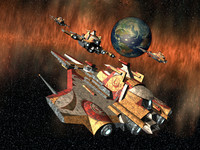 Information that's been released so far could suggest either a traditional Wing Commander title or a Privateer spinoff. 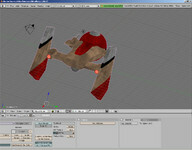 Freelancer has also been suggested. Is Chris Roberts creating an entirely new franchise, or is this something else entirely? Our last poll asked how long visitors have be coming to the CIC. As usual, we're astounded that more than a third have been following us since the mid '90s! We're equally happy that a steady influx of new fans continues to join the fold. Are there any readers out there born after 1996 or 1998? If not, there will be soon! Check out the latest flavor text at the Roberts Space Industries Website. The newest piece of fiction delves deeper into the technology behind future space travel: 2214: The March of Progress. 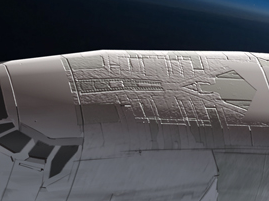 Over at the Roberts Space Industries forum speculation is rampant regarding what Chris Roberts' newest project may be about or what features it may include. While this newest information may not make any of these things any clearer, I'll leave it to you do judge how it affects your view of this new project. Don't forget to leave your thoughts at the chat zone! First, if you've followed the tiny link at the bottom right of the RSI website to the press section you will notice that emails to press@cloudimperiumgames.com are to be directed to David Swofford. You might ask "why should I care who David Swofford is?" Longtime wingnuts will recall that David was a long like public relations figure at Origin. David now runs his own media relations company and you can follow him on twitter here. David started in games PR in 1994 at Origin Systems in Austin, Texas. During an eight year career at Origin and its parent company, Electronic Arts (EA), he directed PR campaigns for some of the top computer game series in the business including Ultima, Wing Commander, System Shock and Crusader. 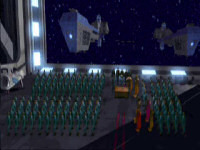 He also managed PR for several of EA’s affiliated label products including Sid Meier’s Alpha Centauri from Firaxis Games. 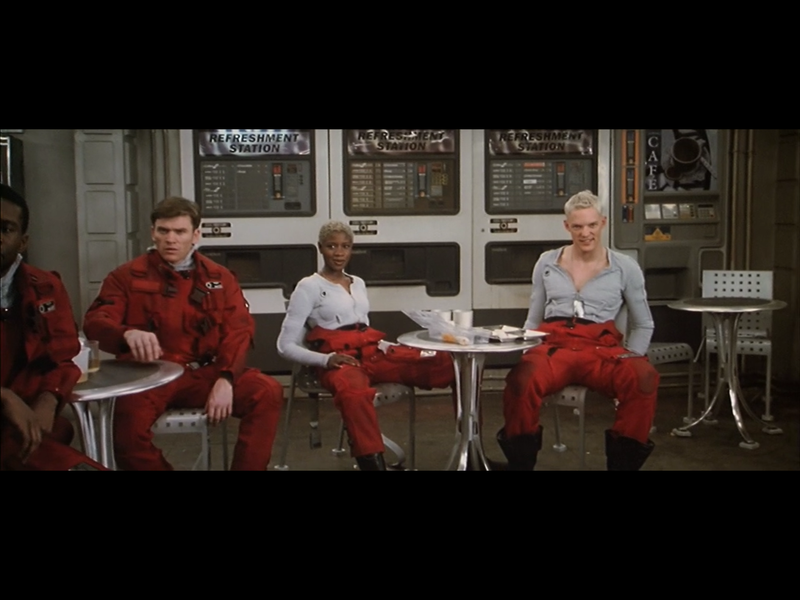 While working on the Wing Commander products, David engineered several Hollywood-style PR campaigns and managed the first ever costume donation from a video game to a Planet Hollywood restaurant at a special press event in 1994 at the Plant Hollywood in Beverly Hills with actors Mark Hamill, Malcolm McDowell and Tom Wilson. In 1997, David launched the PR campaign for the ground-breaking, Ultima Online massively multiplayer online game and generated a wealth of trade and consumer-level press for Origin, EA and the game’s creator, Richard Garriott. Feature stories were placed in the New York Times, Fortune, Newsweek and Wired among others. 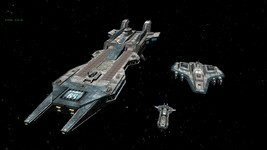 Some other notable things found on the RSI website include a description of Cloud Imperium Games. On the "about Cloud Imperium" page it says "little is known about Cloud Imperium Games Corporation, save that it is dedicated to high end gaming and anything involving spaceships." This should put to rest any talk that this might be some kind of unity based facebook game. 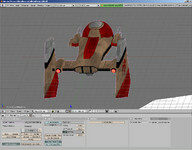 You will recall the spaceship advertisement from Friday? Now look closely at the texture on the top of the ship... It looks strangely familiar. Could this be a clue to something more? We're sorry, but the page you're looking for does not exist. Perhaps you'd like to start your mission over. Mars finally has a breathable atomosphere. Read Senator Stephen Nguyen's address at the unveiling: 2157: Blue Skies on Mars. As adults, we would check in from time to time but I wouldn’t say we were particularly close. More like acquaintances than brothers. We were just too different. I liked the Phoenix Five, he thought they were derivative. I thought the new Citizenship program was an important way to reward the people who actively want to build a stronger nation. He thought it was elitist. And so it went. Check out all of the other historical articles in Roberts Space Industries' Time Capsule series here. 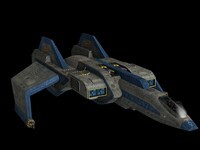 WC Prophecy OEM was the first Wing Commander game I've ever played.. It came in a pack of games and 3D demos that were included with the Real 3D Starfighter AGP video card drivers. It was my favourite game out of the games in the pack. 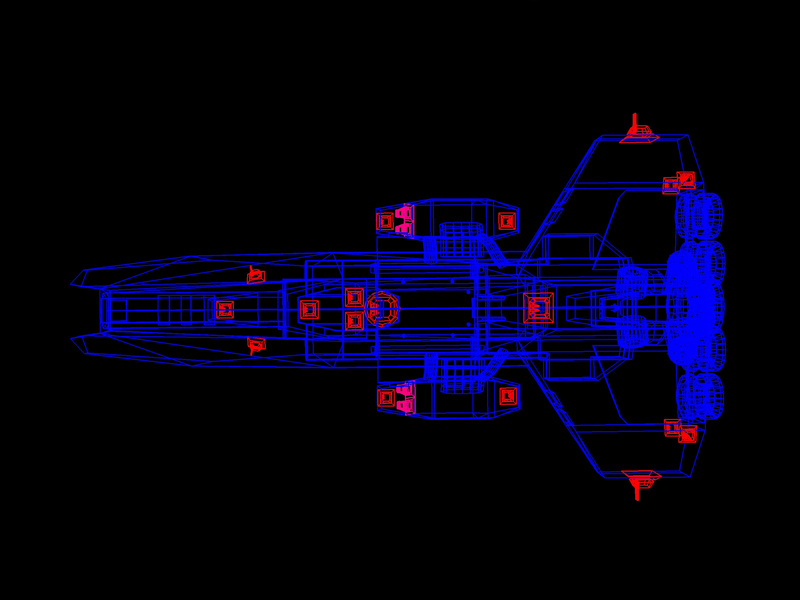 WCP OEM only included the missions from H'rekkah 1 to G'wriss 3a/b, and most of the simulator missions except for the Alien Gauntlet missions. After completing G'wriss 3a or 3b, the game would display the advertisement from the WCP demo. 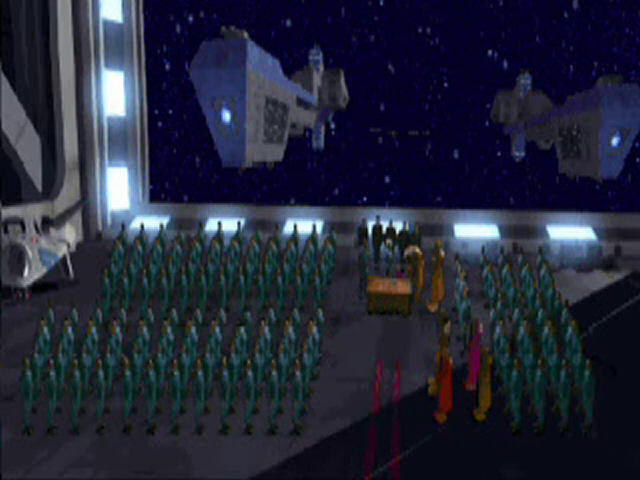 The simulator missions also used different music tracks; "Prophecy" was used for missions 1 and 2, "Galactic Hives" was used for missions 3 and 4, "Ahead" was used for missions 5 and 6, and "Tones from the sphere" was used for missions 7 and 8. Has anyone else out there encountered this version of the game? Let us know! 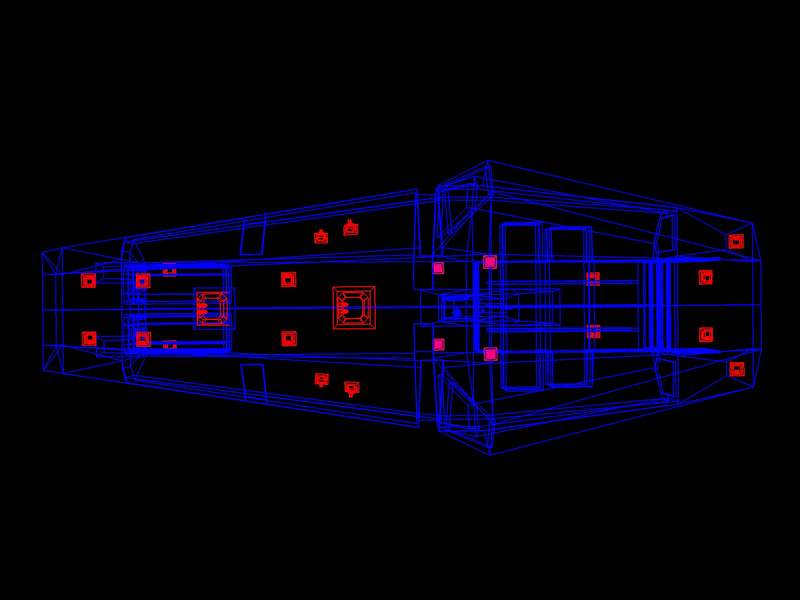 It would be great to delve deeper into how it differs from the full game and to archive it for posterity. 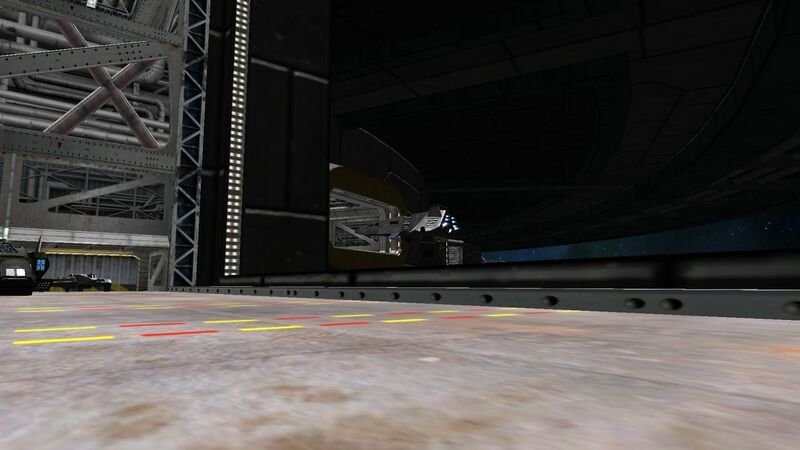 The latest fiction teaser from Roberts Space Industries is up: 2140: A Ship in Every Garage. 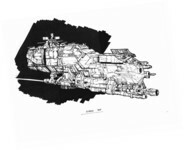 RSI wants to stress that they have ships for sale... A future where every man, woman, and alien can own and upgrade their own spaceships? Sounds familiar! Today's other update is perhaps one of the more tantalizing bits from the last few days. 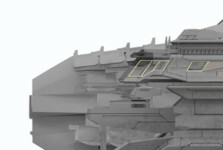 It features what looks like a closeup of the far left of the capship image that appears on the "enlist" page. 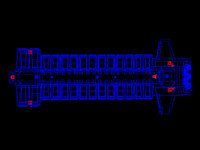 It seems to highlight what looks like windows positioned above what may be just some surface plating but which kind of looks like a big turret or AA gun. 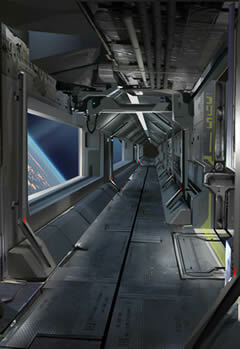 The Roberts Space Industries website continues to receive daily updates and much public attention! Among today's new content is a poll asks about your preferred controller schemes. 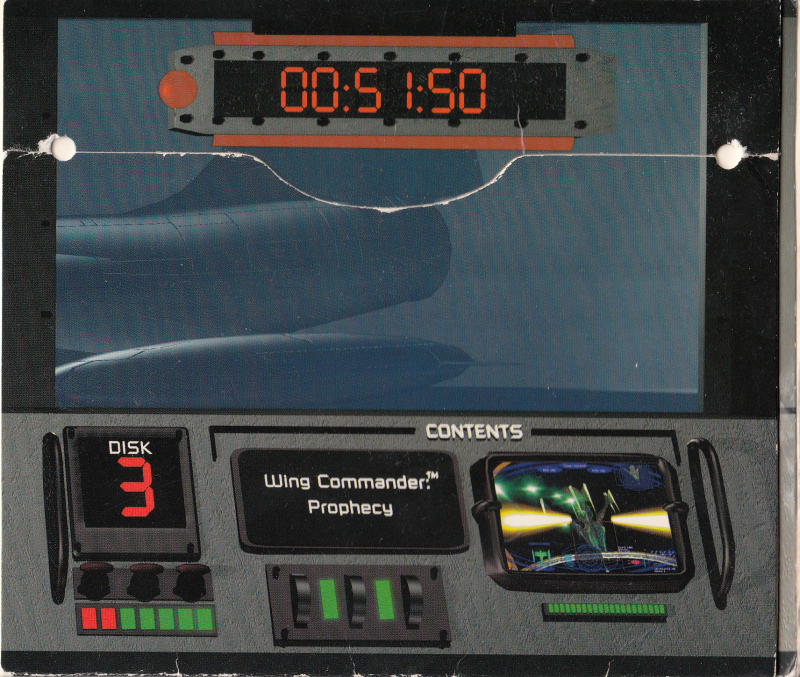 The site also features a new RSI Museum article about Chris's pre Wing Commander RPG Times of Lore. You may recall that the museum section is where you will learn about the team behind the upcoming game. It’s little-remembered today, but when Chris Roberts changed the world with Wing Commander in 1990 he was already a household name among gamers. His first title for Origin, Times of Lore, had been released in 1988 to excellent sales and critical acclaim... the game featured an impossibly intricate world map and boasted an unheard of lack of in-game load time. 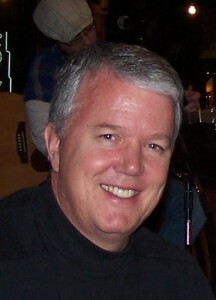 With that feat alone, Chris established himself as a master programmer. The newest fiction teaser takes a darker tone and propels us five more years into the future, and features a sad tale about the perils of space exploration. Combined with the article from a few days ago lamenting the moral questions behind terraforming, could these be hinting at the start of an anti-technology faction? Read it here: 2125: A Dark Day. 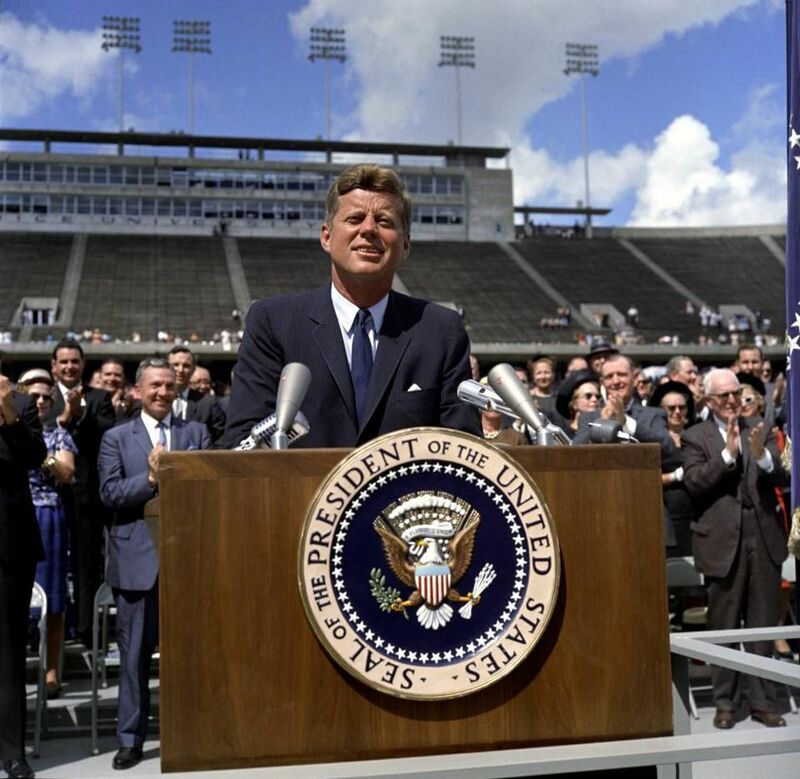 American President John F. Kennedy spoke these words at Rice University on 12 September 1962, igniting an American drive to the Moon. The goal was achieved when just under seven years later, American astronaut Neil Armstrong became the first Human to step foot on the surface of the Moon on 20 July 1969. It was one of the greatest achievements of the 20th century. 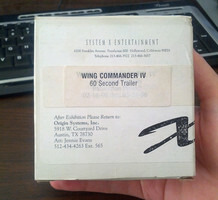 What does it have to do with Wing Commander? 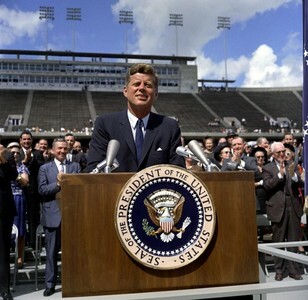 The second part of Kennedy’s speech that is quoted above is heard at the very beginning of the introduction to the Wing Commander movie. The Terran Confederation faced an ominous threat at the time from the Kilrathi in the greatest war that Humanity had ever fought. Kilrathi forces had acquired a NavComAI and were using it to drive directly into the Sol system in 2654. Only with tremendous effort were Confederation forces able to stop the Kilrathi offensive. It instead became an ambush by Confederation forces that was not soon rivaled. Roberts Space Industries website is featuring a commlink article about Paper Commander, a fan site hosted here at the CIC that features model Wing Commander ships that can be made out of paper. The third fiction teaser is also up. It jumps ahead another 7 years to 2120, and like yesterday's story blurb centers around terraforming. Mankind is surveying mars to potentially attemt to convert it's atmosphere into something breathable by humans. Read it here. and don't forget to check out the previous two fiction teasers as well. 2113: When Do We Go Too Far? So what do you think on the fiction so far? Let us know! The RSI website has posted a new message from Chris Roberts! You can view the message directly here. 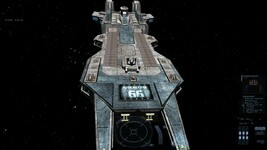 As I write this the count of fellow space gamers stands at 6,897! One of the reasons why I took this route as opposed to the more traditional one is that I have been constantly amazed by the enthusiasm and talent shown by all of you for my previous work. 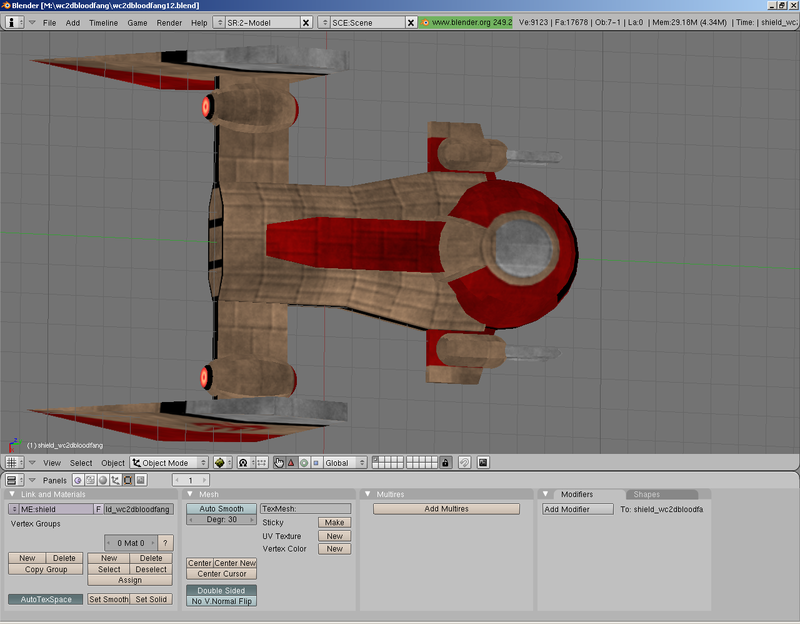 You have skinned other games to be in the Wing Commander universe, built detailed 3D models of what were much simpler ones back in the day, modded Freelancer to be able to do things we never considered, and extended its life much longer than anyone dreamed. 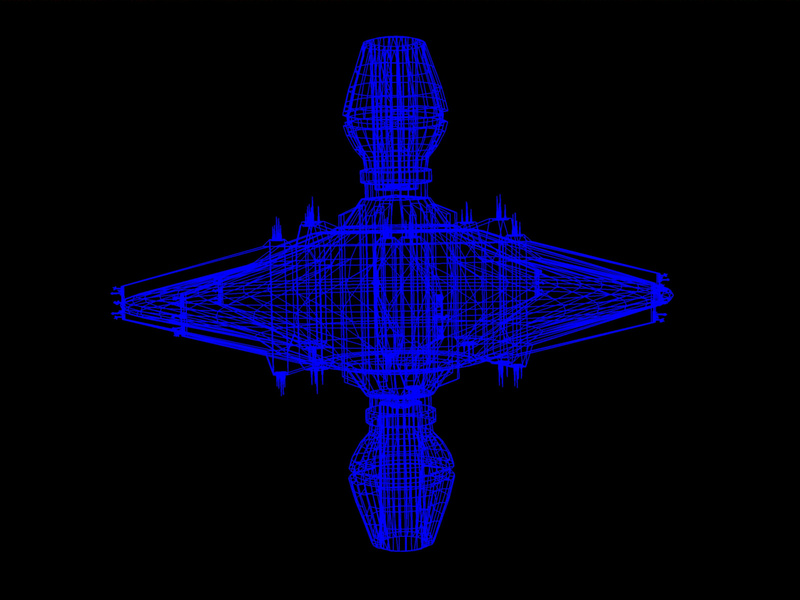 When the Wing Commander series began, one of the most familiar visuals were the ships cockpits. You weren’t flying behind some third person shooter… you were right there, in the action, living in the game world. The ‘hand on the joystick’ that moved as you played the game became an oft-quoted example of the series’ dedication to interactivity. The New Fiction teaser jumps ahead to 2113 from yesterday's 2075 and features and interesting name: Hannigan Terrell. 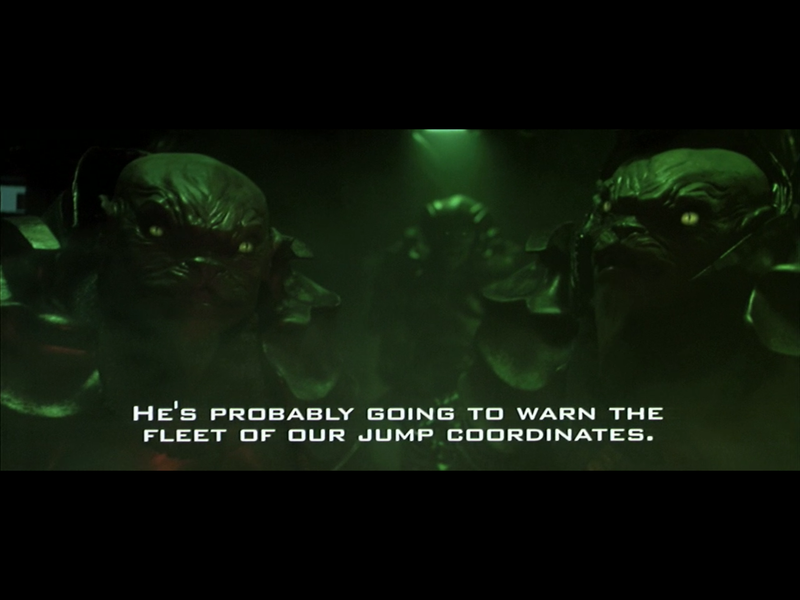 Is this a reference to Privateer's Admiral Terrell? 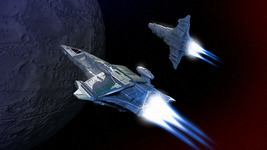 James Hannigan was also a composer on both Privateer 2 and Freelancer, and while yesterday's update was about space travel, this particular part of the story refers to terraforming: Fiction Teaser. 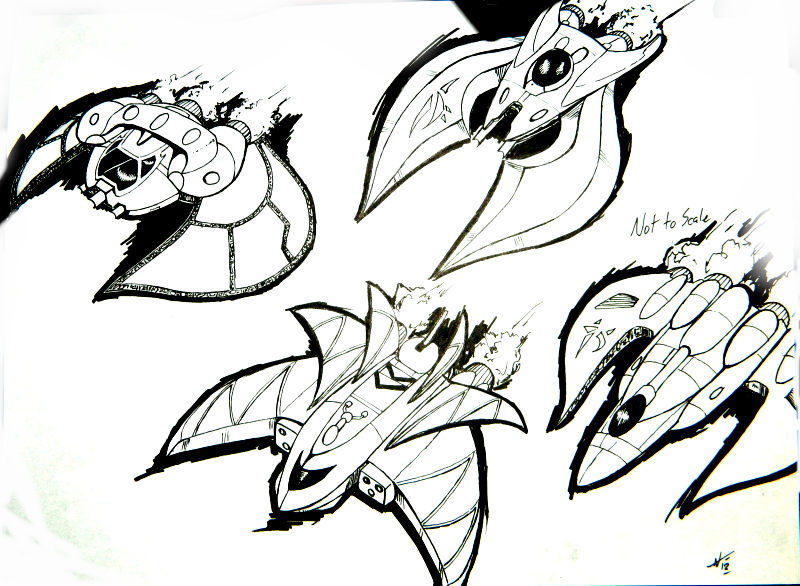 Some of you may have been wondering why I left out one of the concept images in the previous update. You were probably wondering where that nifty carrier from the 'enlist' page was. It was intentional so we can talk more specifically about the images themselves! 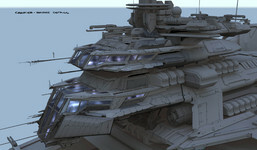 This carrier concept is nicely detailed and reminiscent of the early Wing Commander carriers. 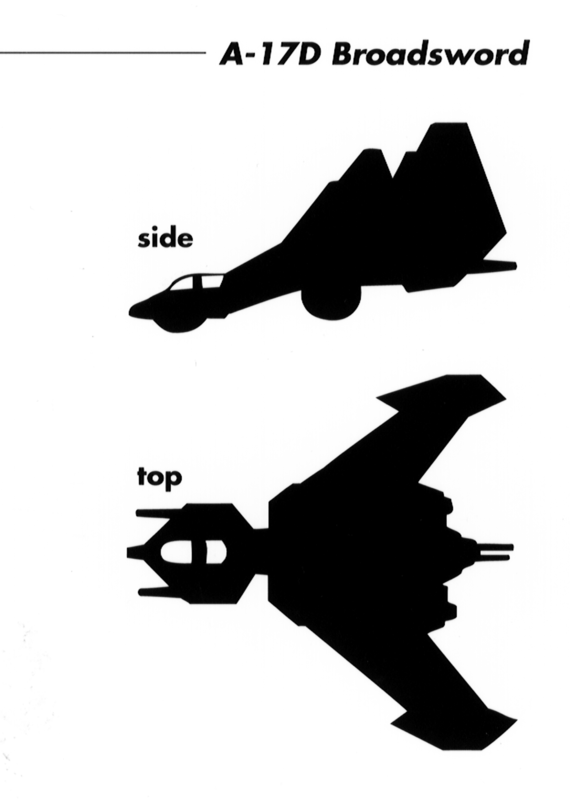 Considering the Privateerish concept we highlighted yesterday, does this weight the chances in favor of a Wing Commander-style game? Also, something was nagging me about the image after I had stared at it for a while, and my focus seemed to drift over the little "carrier" title block on the bottom right. The writing is blurry, but the shape seems familiar. I was reminded of my time scouring the web for Outlander information. 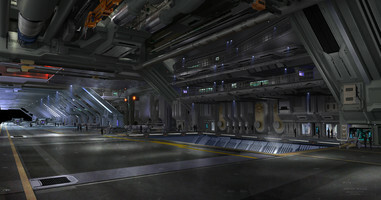 One of the concept artists that worked on Outlander was recently featured on Kotaku and is probably why my memory made the connection, but is it possible Chris Roberts went all out and got Ryan Church - of Star Wars Episodes 2 and 3 fame to sketch up these amazing images? I'm just throwing this out there, so judge for yourself and let us know what you think in the comments. Now let's look a little closer at the rest of the shots... 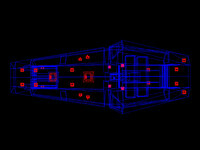 The majority of these images seem to be elements of a ship. 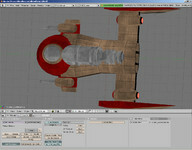 In fact the bridge picture from the RSI website actually had "Wing Commander" in the file name - for a while anyway. Personally I think that the control center image reminds me a lot of the bridge of the Concordia in Wing Commander 2 and TCS Victory's bridge in Wing Commander 3. 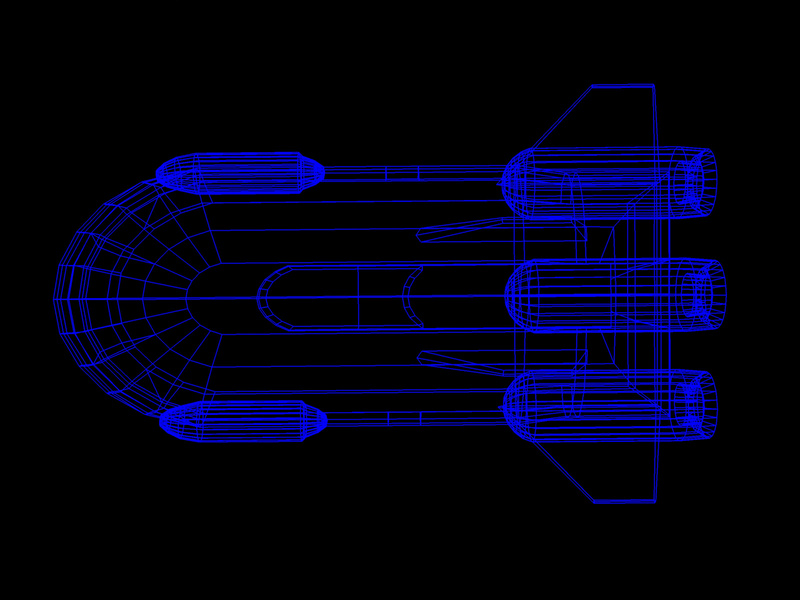 The hallway is generic enough, but still in line with the Wing Commander style. 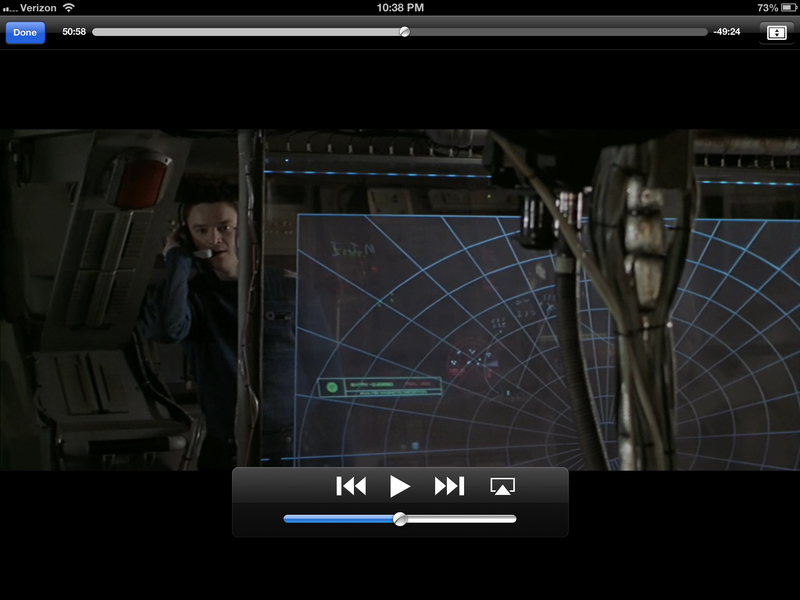 Both images have the ship orbiting a planet, and one of the large screens seems to have an altitude gauge. 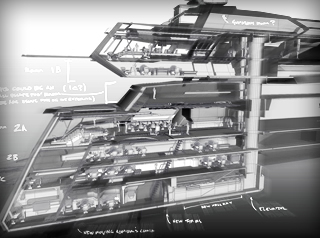 The deck image shows what looks like a detailed layout of some kind of capital ship or starbase... the various decks appear to be connected by a vertical tube that seems like an elevator. Again, I'm reminded of the way the player hunted around the TCS Victory in WC3 in search of the next story videos. The following images could be interpreted a number of ways but it's interesting that the map image lists Sol for earth and has a hexagon pattern around what looks like a jump-line between it and the "Croshaw System." Are these temporary names? Or hints at something more? 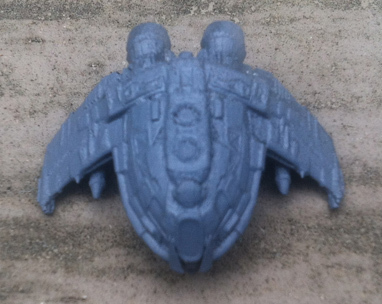 The pod could be anything... Is it a bomber's turret? The nose of a weird fighter? 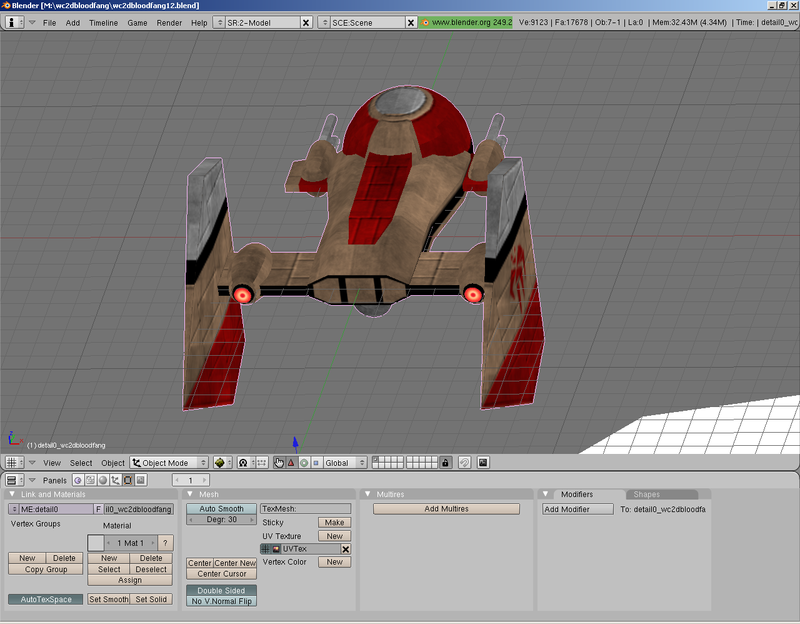 An escape pod? TrainSim? A futuristic latrine? 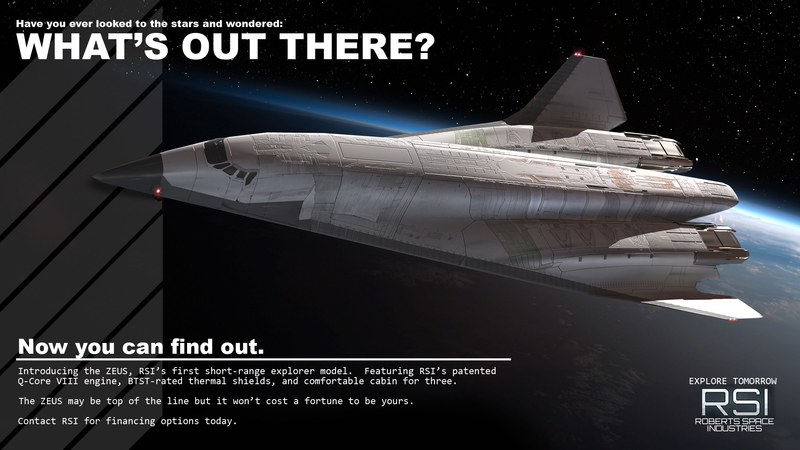 The website for Roberts Space Industries came to life today. The major headline is that Chris Roberts' new project, having been in the works for around a year, is set to be revealed this October 10th! As many commentators have pointed out, this happens to coincide with the Game Developer Conference in Austin. Right now, it's not known if this will be a new title in either the Wing Commander or Freelancer franchises, or a spiritual successor. Be sure to sign up and explore the RSI website for yourself, and check back throughout the day for updates and analysis. In case you missed it, we also ran a piece on Chris Roberts' new venture yesterday. Special welcome message from Chris Roberts! Comm-link: Primary method of RSI staff to reach out to fans. 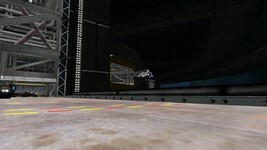 Forums: Discuss previous (Origin / Digital Anvil) Roberts titles and speculate about the new game. 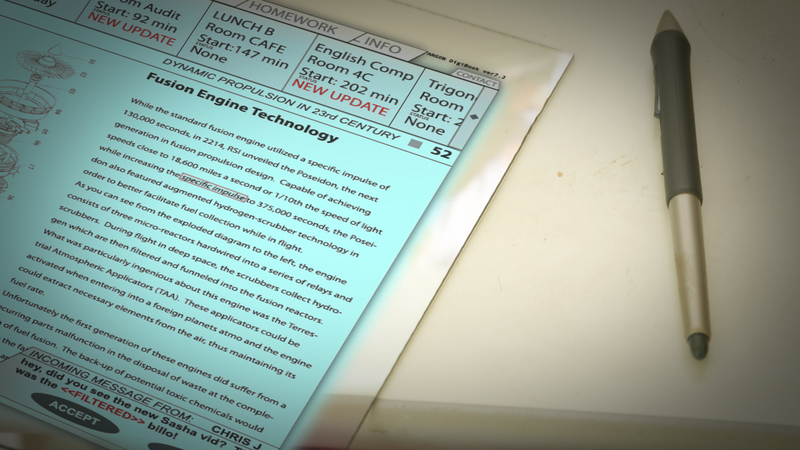 Time Capsule 2075: First fiction teaser! 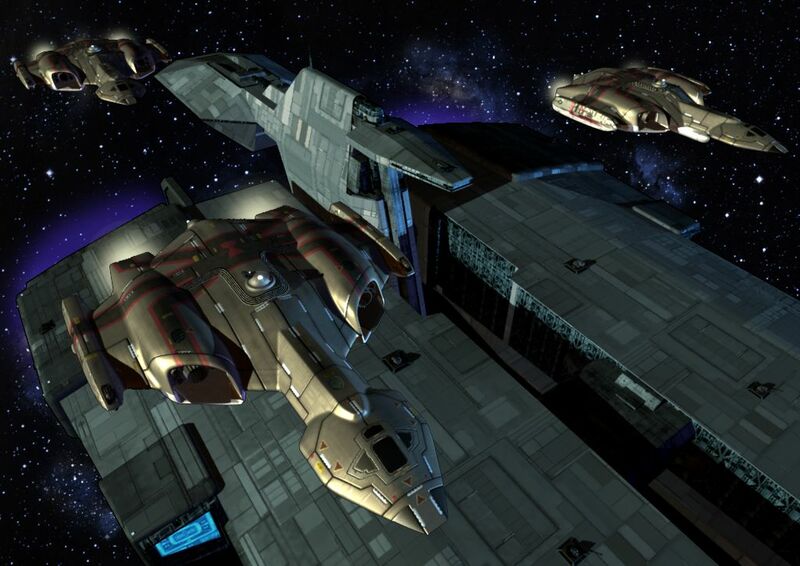 RSI Museum: Meet the team behind the Wing Commander and Freelancer games. Currently has a Chris Roberts bio. Golden ticket: Sign up now to receive a Golden Ticket. Promises to let you participate during the development phase. No details right now. What's interesting is that it mentions a 24-month development cycle. Polls: The current poll wants to know if you like to see cockpits in your space sims. Vote now! The secret code is 42, a reference to Hitchhiker's Guide to the Galaxy. 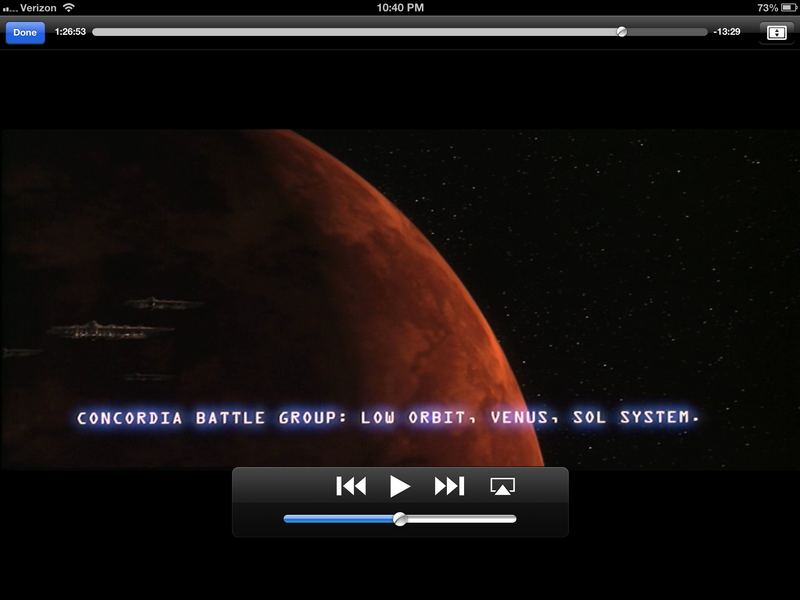 The Holo-viewer: "attend a screening of the latest space epic" - possible trailer section? 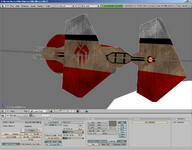 AD has collected the concept art from the website. Zeether and WalterK came by #Wingnut to tell us about a couple of websites they came across. 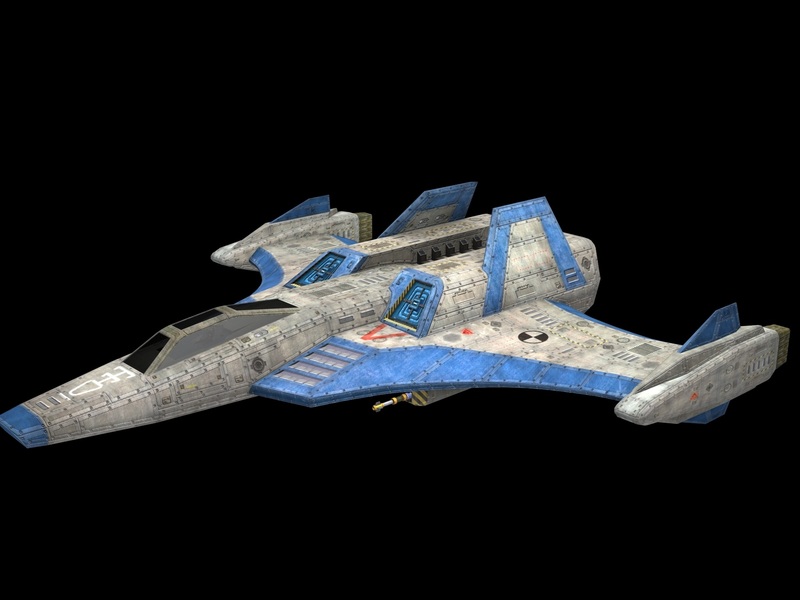 There has been considerable excitement and discussion on the Freelancer fansite The-Starport.net and on Reddit regarding Roberts Space Industries and Cloud Imperium Games, and frankly we're intrigued! Both websites seem linked to Chris Roberts' newest business endeavor. Chris Roberts' public linkedin profile now lists his current position as "Chairman & Chief Creative Officer at Cloud Imperium" having apparently moved on from Bl!ink Media Inc. If there is any doubt that the Cloud Imperium Games website is connected to the Cloud Imperium Chris mentions on his linkedin profile, note that the domain name was registered by Freyermuth and Associates Inc. Ortwin Freyermuth was a lawyer/producer hired by Mr. Roberts to work as legal advisor on several of Ascendant Pictures's films. In 2007 he was listed as being on staff at Ascendant as "production counsel". 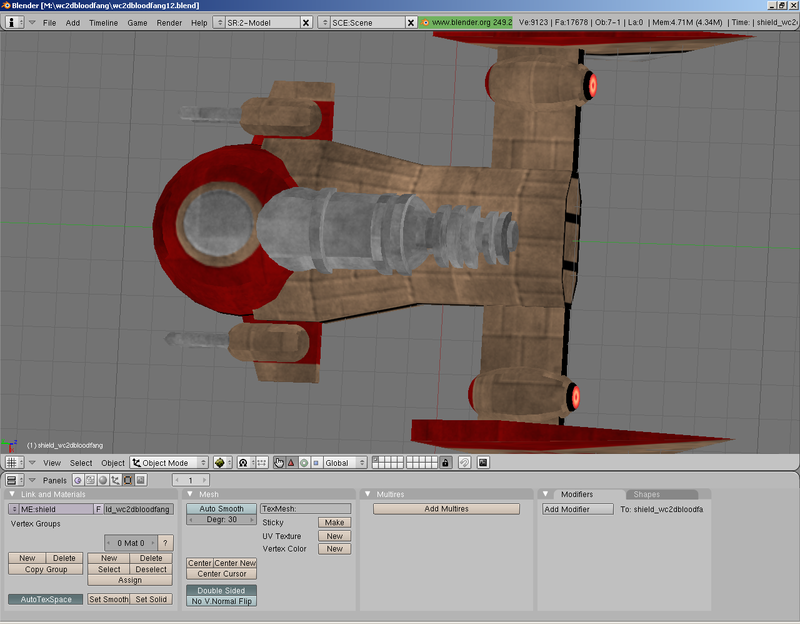 So what exactly is Chris Roberts working on? Much of the evening's discussion did revolve around what he would do if he were to ever make a new Wing Commander game with today's technology. The Roberts Space Industries site hints that we may just have a bit of a better idea what this special project is come Monday morning. The website is running a countdown timer that runs out at midnight Pacific Standard Time Sunday night. Is it a new space combat simulator? 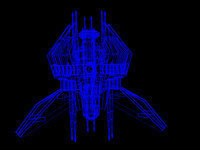 Is it a follow-up to Privateer or Freelancer, or a spiritual successor? Is it something else altogether? Moving on over to the Cloud Imperium Games website we note that there's a nifty spaceship banner at the top of the page which would certainly indicate that whatever it is is likely space related just as the name "Roberts Space Industries" promises... though, I guess, for all we know it could be the social version of "Spaceship Parts Factory Tycoon" set in the dusty Texas back-country of the near-future. But wait! There's another clue! 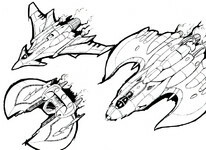 WalterK pointed out that following the URL to full image of the Cloud Imperium website banner reveals the following beautiful piece of concept art which doesn't just mildly suggest a Privateer/Freelances style game! Check back often - we'll be looking through this with a fine-toothed comb! The crew of the TCS Phoenix is looking for a few more pilots. 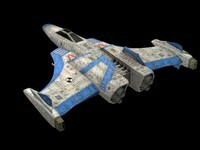 Wing Commander From the Ashes is a forum-based role playing game that's been around for about four months. In that time they've put together the basic background of their simulation and started patrolling the Pentonville System. And as any good Gemini flyer knows, nothing good goes down in Pentonville! You can ask the admins any further questions at the CIC Forums or check out the RPG for yourself here. So we've been involved in a forum-based sim for the past few months now, and it's been both fun and productive. The one thing we're really lacking is participants, and it would be really great to have some more people involved. Klavs has gotten his hands on the first run of his new models, and they look great! The shots below show what the designs look like with some basic sanding and primer applied. Even these small examples are packed with some exquisite detail. 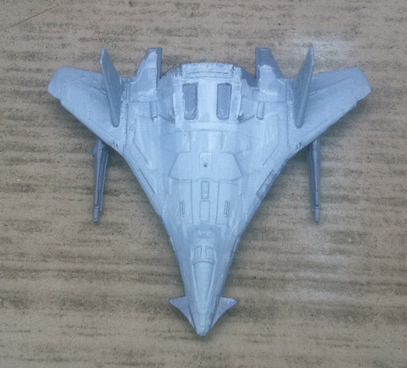 These already make great collectibles in their monochrome state, but Klavs is also looking into high-end pre-painted designs for a possible future upgrade. Pick up your own mini models here. Ok, a little sanding, a little primer, and those teeny little ridges clean up nicely! 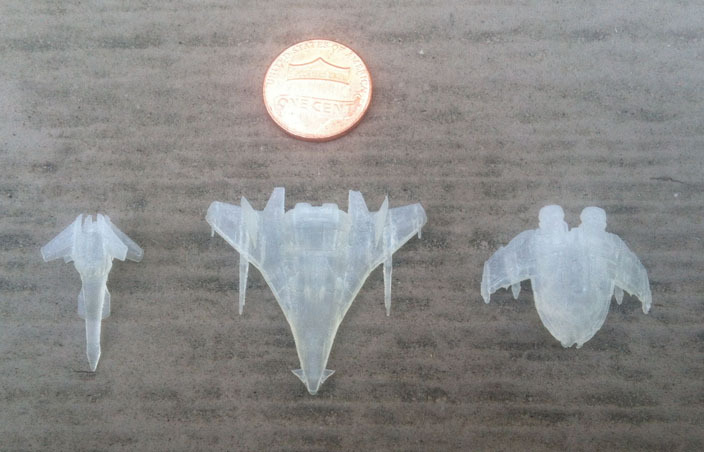 The Ferret and Salthi printed a little small, so I enlarged them for the release, but there's lots and lots of nice detail that comes out, even in the little 1/600 scale ones. This weekend on Saturday, September 8th at 7 pm EST, the CIC is hosting a WCPedia IRC conference to discuss our plans for the coming year and to work on some organizational and content matters. If you are working on the project, or interested in doing, we encourage you to stop by #wingnut to learn more! Even if you aren't helping out, swing by! 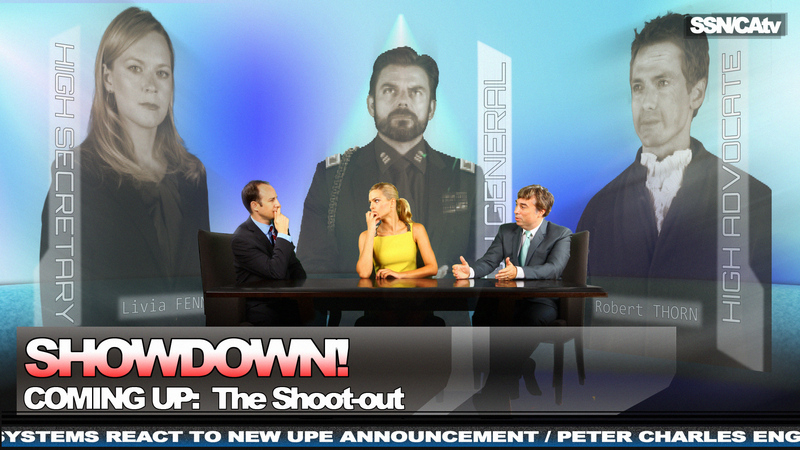 There will be a number of us hanging out in the channel talking WCPedia, and of course, Wing Commander. So please, come say hello! Will You Love Me When It's Over? 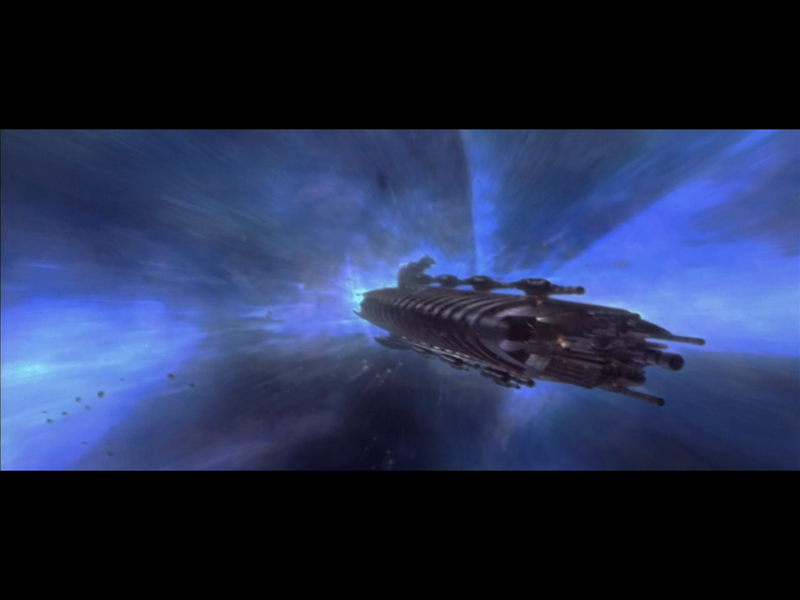 Gameological has posted an interesting article comparing the overall impact of the ending of Mass Effect 3 to the endings of Wing Commander 3. The article assumes the reader is familiar with the controversial endings to Mass Effect 3 and doesn't delve into those endings much in favor of dissecting the various end-games from 'The Heart of the Tiger.' It is also unclear whether the writer took the time to try out the extended conclusions from Bioware's recent DLC. 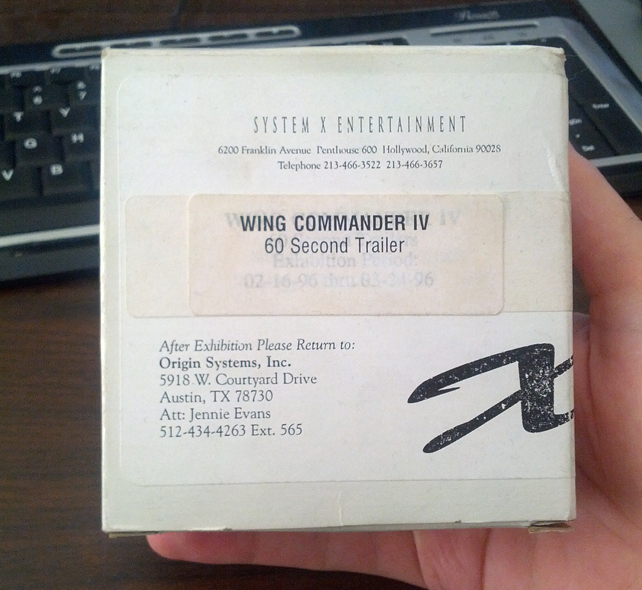 Still, I guess there are worse reasons to use as excuses to talk about Wing Commander. The writer also has an odd sense of the "good" ending of the game, going as far as calling its implications shameful. As well, he seems to miss the parallels between the T-bomb and the nuclear blasts unleashed on Hiroshima and Nagasaki, which, given the moral nature of the author's argument, would seem to be a glaring omission. 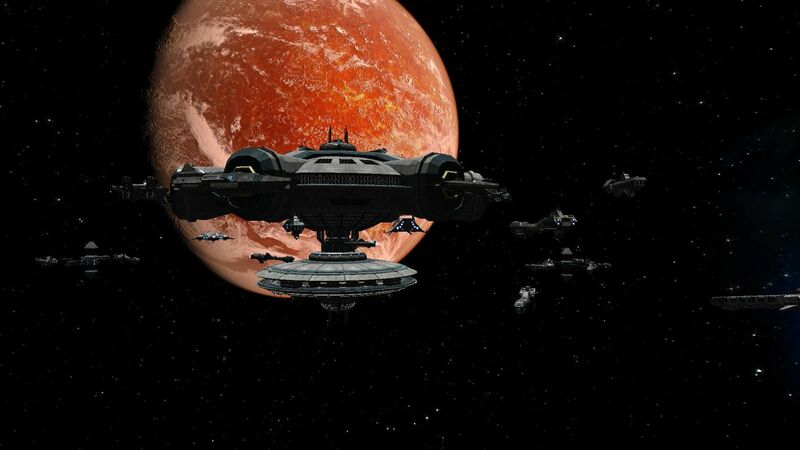 Do you agree with the author's assessment of the Wing Commander 3 endings? Can you draw similar parallels to the Mass Effect endings? For a refresher, don't forget to watch the Wing Commander 3 losing endgame videos in our Holovids section here and the wining ending here. Let us know what you think in the comments. Neither postscript is perfect, but the makers of Wing Commander resisted the urge to press the history eraser button, and made both endings matter in a way that Shepard’s never will. 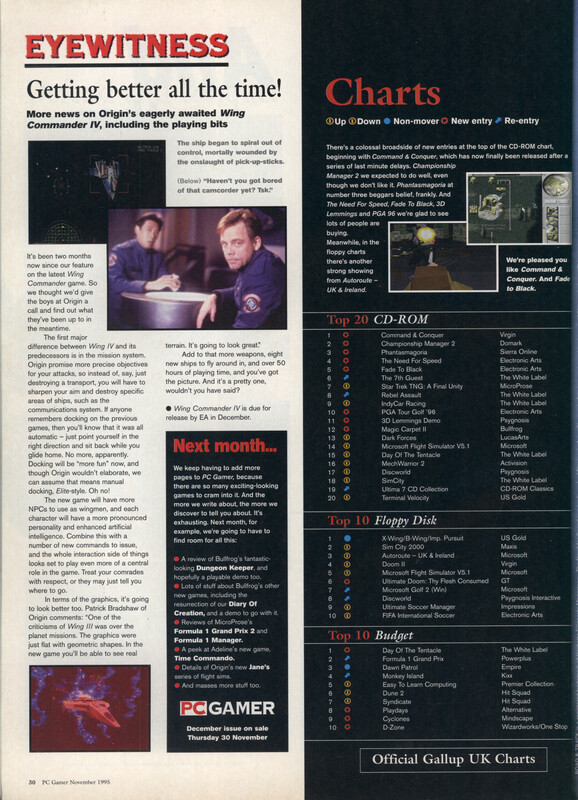 A quick blurb from the November 1995 British PC Gamer about the soon-to-be released Wing Commander 4. It's overwhelming positive, but I share Pix's confusion over what they mean about making docking "more fun". The article seems to be alluding that it is a change to the landing procedure, but this is the first we've heard of it, and the end result in WC4 is the same as its predecessor. However, five months later PC Gamer UK was singing quite a different tune about WC4. We posted that review back in July. 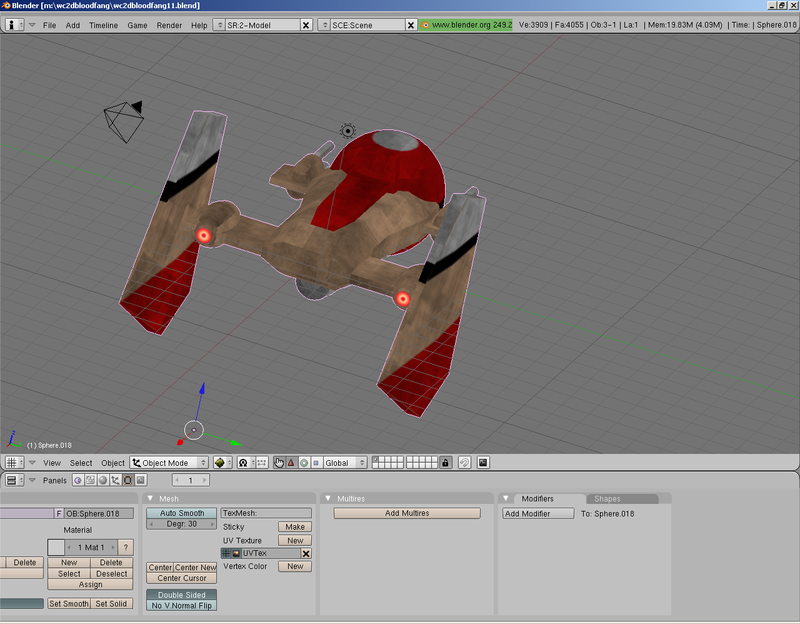 FekLeyrTarg has started a new model. This one's rarely seen, and even less so modeled. He's building Prince Thrakhath's Bloodfang, but this isn't the version that we fight against in WC2 or WC3. It only shows up in the brief WC2 Demo/trailer. The design is modeled in an imposing WC1-style, and its clear lineage to the final WC2 Bloodfang is great. You can learn more about different Bloodfangs here. A little treat for the 14th birthday, even if it is a little bit late: Do you recognise this fighter? 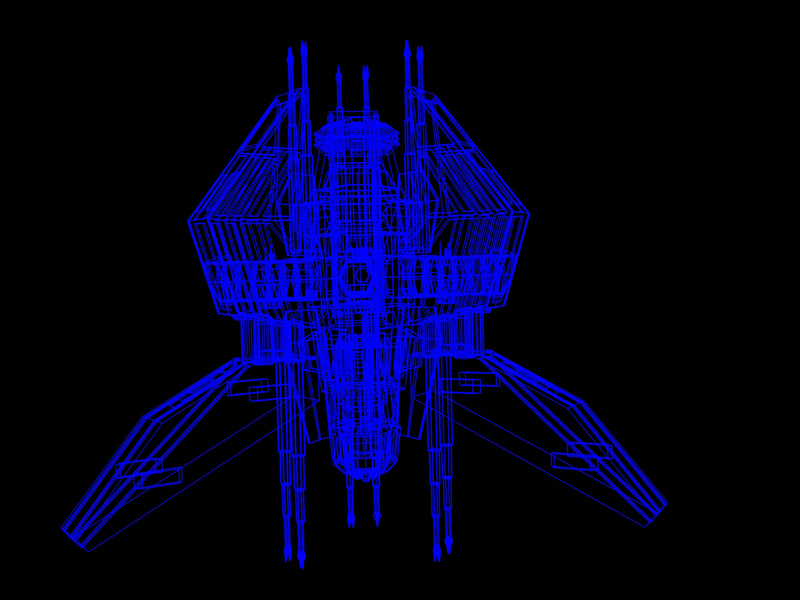 Cybot has taken a short break from traditional models and instead created a large batch of Wing Commander wireframes. 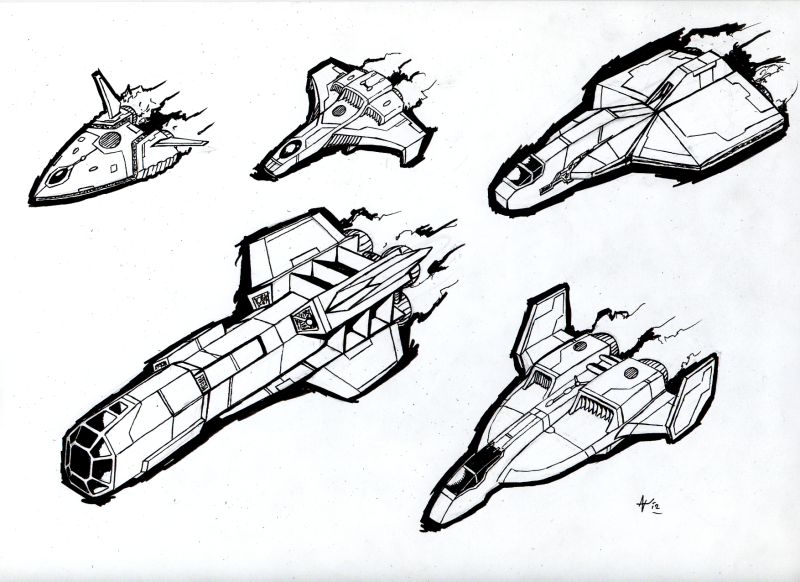 The designs he's rendered run the length of the series from Privateer to Wing Commander 3 to Academy. 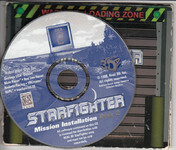 Items like this are ideal for Wing Commander projects feature VDU displays or briefings. 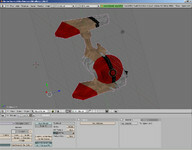 Let Cybot know if your project could use something like this, and check out many more designs at the CIC Forums! 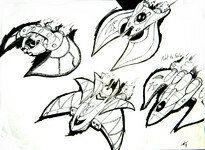 NinjaLA has created several more spiffy fighter sketches. 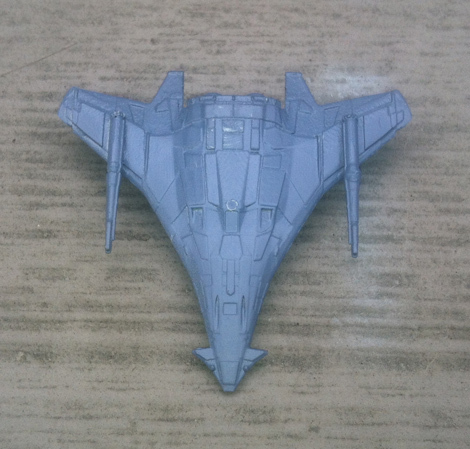 This time he's assembled the Kilrathi craft from WC2, WC3 Confed fighters and a mix from Privateer. 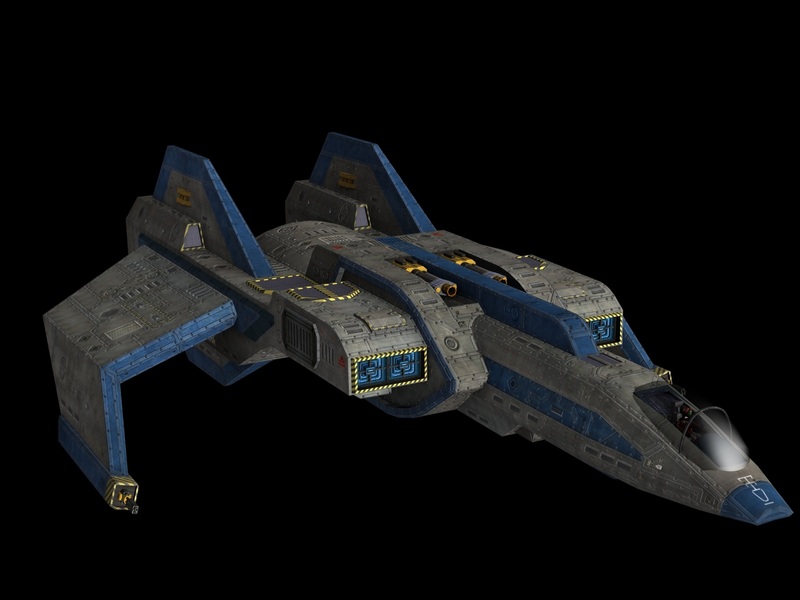 The Kilrathi fighters look especially sleek and deadly. To challenge himself, Ninja is drawing each of these from 'memory' rather than consulting a reference picture of some kind. The result is not bad at all! 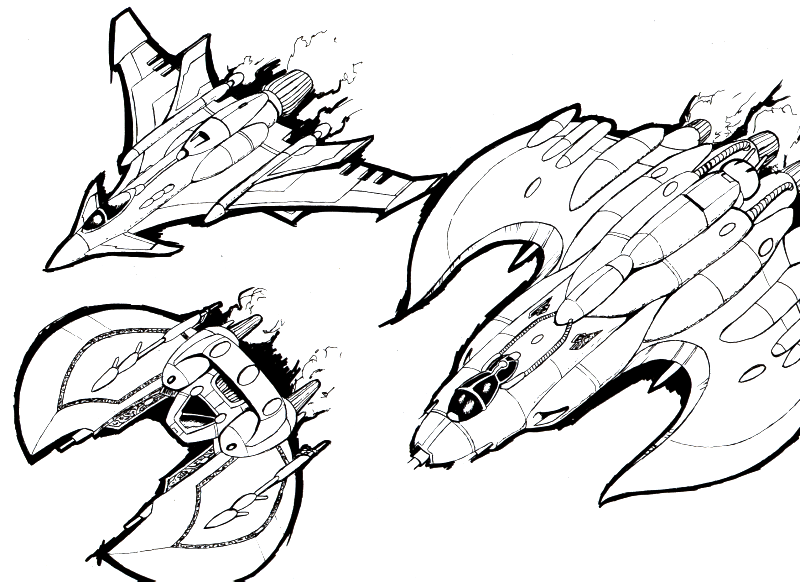 I think I remembered a few of the wc2 kilrathi designs.. it's very hard not to cheat right now and just look at a picture while drawing.. but that'd defeat the entire purpose. It's really getting fun seeing how my memory compares to the reality of the designs.. turns out.. not so much. :) I'm rather enjoying this though.